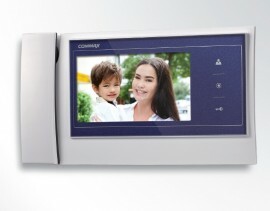 Commax colour video intercom kit. View and communicate with your visitors before letting them in. Camera has built in LEDs for low light effectiveness. Maximum distance between camera and monitor is 50m using good quality 4 core cable. Support for 2 Monitors, 1 Camera and 2 Audio phones. 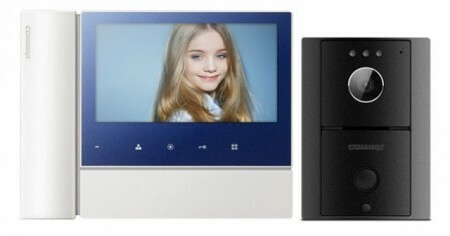 Kit includes 1 x 7" monitor (CDV-70N), 1 x door camera (DRC-4L).